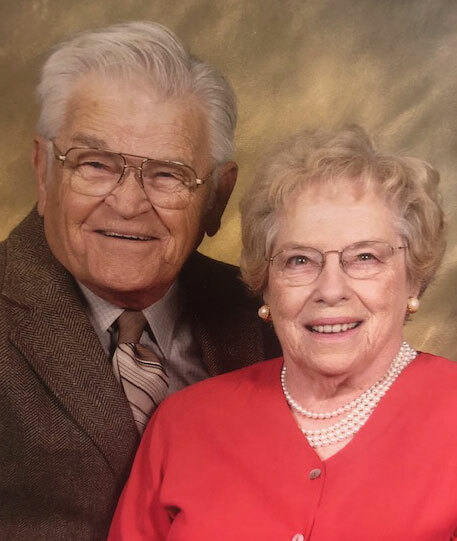 AUSTINTOWN - A Mass of Christian Burial will be held on Saturday at 11 a.m. at Immaculate Heart of Mary Church for Dolores Mae Hoza, 97, who died peacefully Wednesday morning at home surrounded by her family. Dolores was born Jan. 29, 1922, in Youngstown, the daughter of Joseph and Anne (Fedor) Dolak. She was a 1940 graduate of Struthers High School and a graduate of the St. Elizabeth School of Nursing. After graduation, she served her country in the United States Army as a nurse during World War II. She was stationed in Ft. Benjamin Harrison, White Sulfur Springs, Camp Anza in California, Hawaii, Manila in the Philippines, Tokyo Bay and Seattle. Dolores earned many awards, including the Meritorious Unit Award, Asiatic-Pacific Theater Ribbon, Philippine Liberation Ribbon, Overseas Service Bar and the Victory Medal. When she returned from war, Dolores worked in the Medical /Surgical Unit and Labor and Delivery Dept. at St. Elizabeth Hospital until retiring to raise her family. Dolores was a charter member of Immaculate Heart of Mary Church, a member of their senior citizen's group and bowling team. She also was a member of the Mill Creek Golf League and a long time member of her card club with her girlfriends. In her spare time, Dolores enjoyed baking her famous kolachi and flaky pie crust. It always seemed that the world's problems were often solved around her kitchen table. Dolores’ husband, Stephen M. Hoza, whom she married May 17, 1947, died July 1, 2010. She is survived by her daughter, Sharon (John) Nicastro of Canfield; two sons, Michael and Bill (Nance) Hoza both of Columbus; two sisters, Elaine McKee of Tucson, AZ and Jeanne Randzzo of San Jose, CA; five grandchildren, Elyce, Jason, Lee (Lyndsey), Anna (Bobby) and Stefan; and five great-grandchildren, Mathew, Gianna, Dominic, Louis and Ellen. Dolores was also preceded in death by her parents and brother Joseph Dolak. Family and friends may call Saturday from 10 to 10:45 a.m. at the church. The family has requested that material tributes take the form of donations to the Youngstown Veteran Affairs, 2031 Belmont Ave. Youngstown, OH 44505.